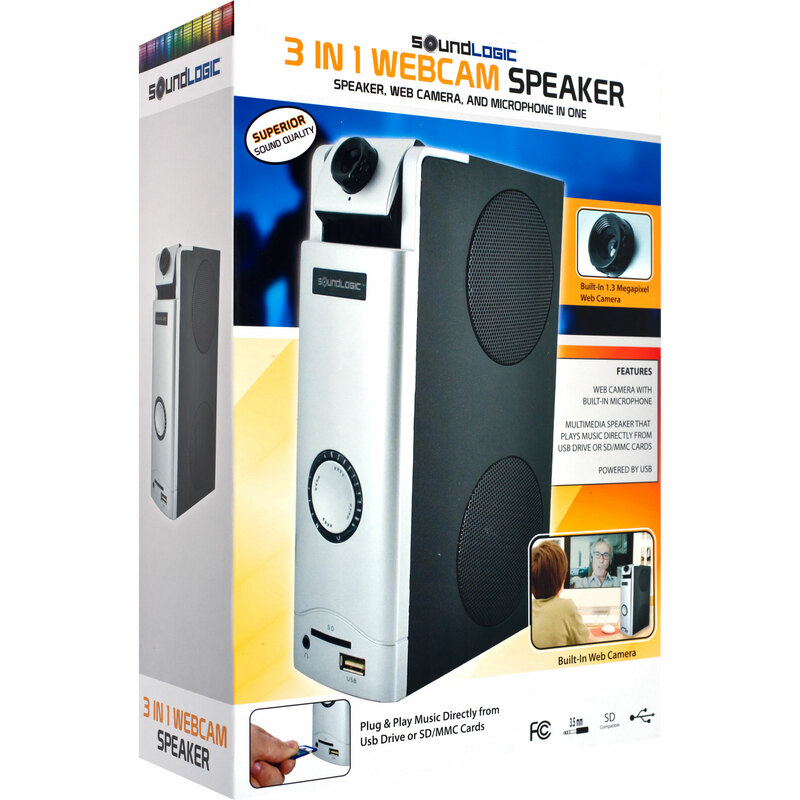 Communicating with friends and family via your computer has never been easier than with the convenience of the 3 in 1 Webcam Speaker by SoundLogic. 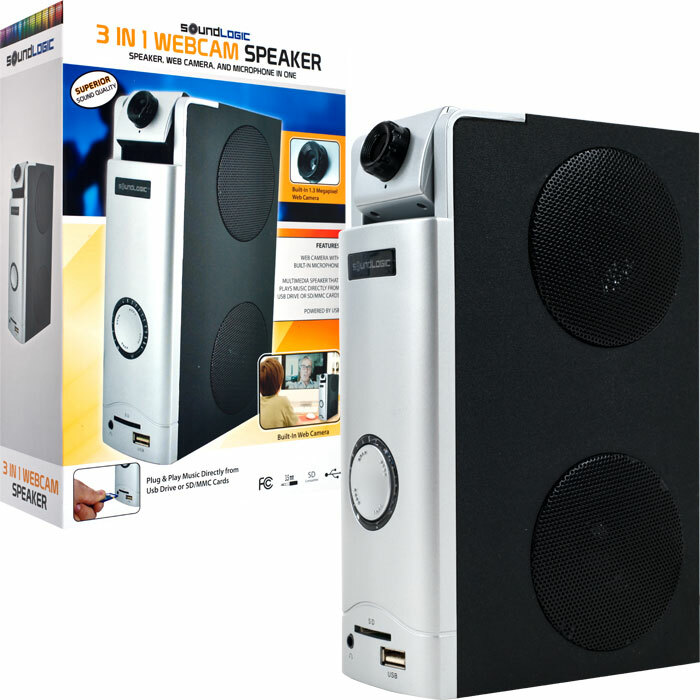 With a built-in webcam, microphone and speaker you?ll have all you need to produce videos, listen to music or video chat all with the ease of a USB connection. 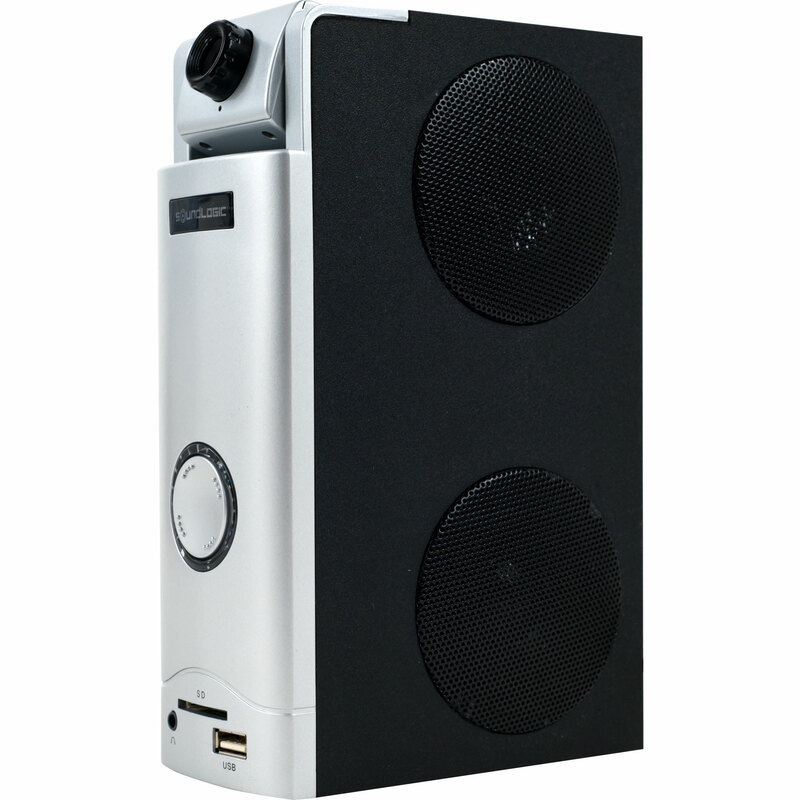 Remove the clutter from your desktop with the compact combined convenience of the 3 in 1 Webcam Speaker by SoundLogic.